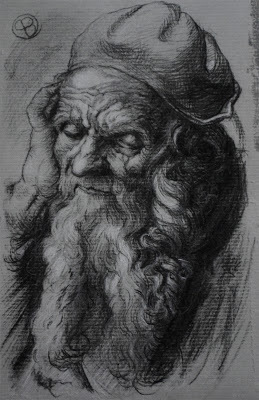 Study from Durer's "Study for Saint Jerome", charcoal and white chalk on grey Roma paper. Spent an afternoon on this, then abandoned it for a year, like it was an elderly relative. Finally revisited it this weekend!